It’s a tough choice. I’d go with number 2 because of his body language in it. Dr. Bandaid seriously cracks me up. Not creepy at all. Hmm, I wouldn’t place him as the begging type. Yeah, the second one is more his style. Well, I like the second one, but the third one sort of suits him. This made me laugh for so long…..
Hahahaha! 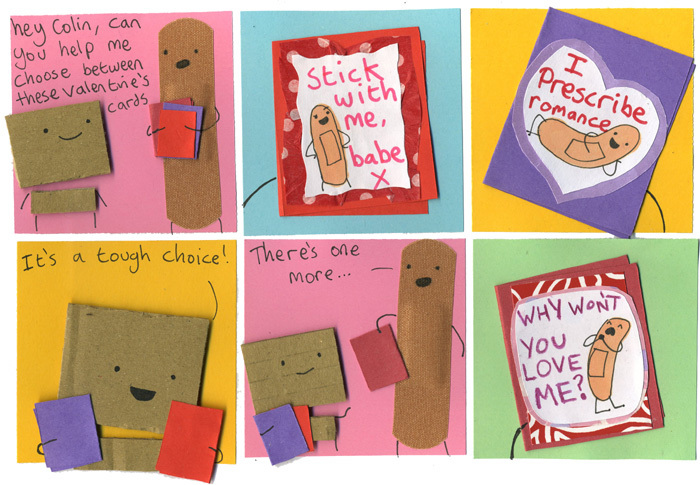 This has to be one of my favourite comic strips so far, it made me laugh so much! I say… number 0. CREEP!!!!! !